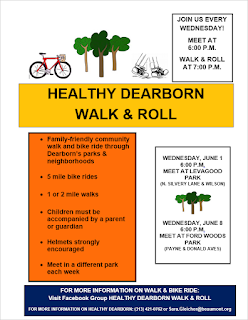 Under the leadership of cycling enthusiast and Healthy Dearborn coalition member Tracy Besek, with help from Dave Norwood and Mohamed Ayoub from the City, we are excited to announce the new weekly Healthy Dearborn Walk & Roll! 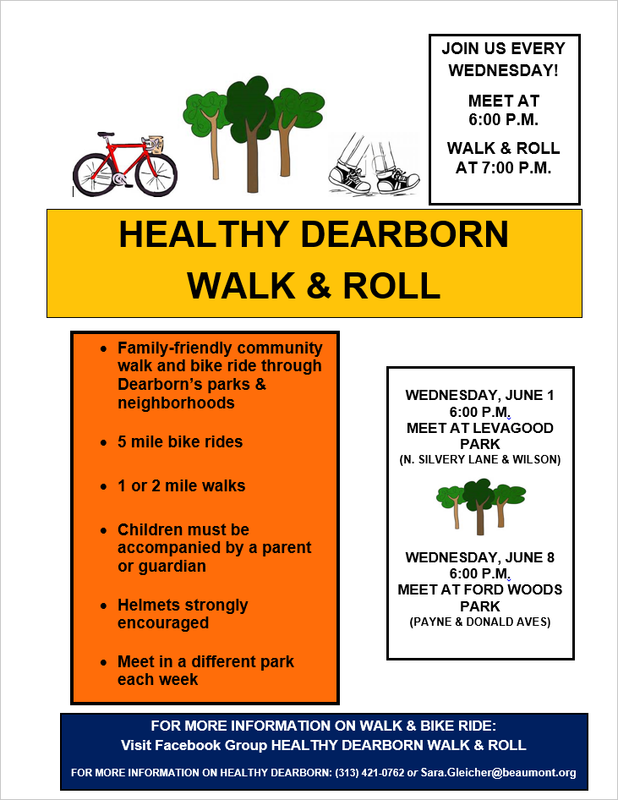 On Wednesday of each week, Healthy Dearborn will lead a family friendly, community walk and bike ride. They will meet at a different park each week at 6:00 p.m., alternating each week between east and west side parks. Rides and walks leave the park at 7:00 p.m. The first one is June 1st at Levagood Park. The second one is planned for June 8th at Ford Woods park. Healthy Dearborn is a robust coalition of more than 200 community residents, businesses, employees, elected and civic leaders. Find out more about Healthy Dearborn on the City of Dearborn website.